Denny Jump (Bellevue, WA, United States) on 22 July 2018 in Lifestyle & Culture. 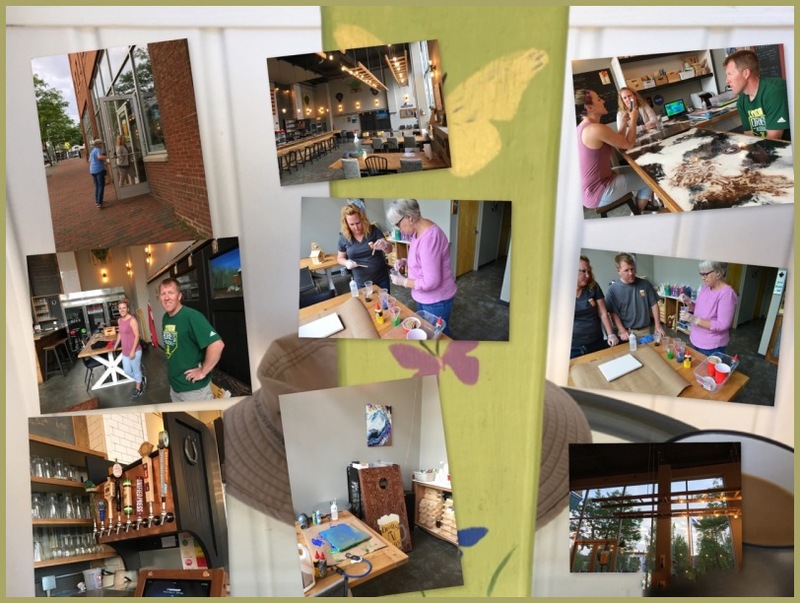 You may recall that I mentioned, the other day, that my son-in-law, Steve and his sister - after months of hard work and preparation - have opened up a combination craft studio/ local brew sampling spot. The concept is becoming popular throughout portions of the U.S. With regard to the youngsters,everything is monitored very carefully with regard to the handling of beer - at the same time, there are all sorts of craft and fun activities for kids to keep them entertained ..The result is that this is a great spot for families as they can bring their kids and to in some craft fun and, if Mom or dad want to try a local brew, they can do that as well without having to worry about the kids...Teachers as well. Perhaps the idea seems odd but the concept, as i mentioned, is really taking off in some parts of the country. Steve and this sister are starting slowly but things are on the upswing, so far. That is a rather strange but cool combination I would never have thought of. I like you collage, too. Well, having viewed and read all this, I'm ready to sign up ! An exciting venture. @Ronnie 2¢: Thank you, Ronnie! They’re in a good location... hopefully time will tell a good tale. PS - your current post is "Spot On!"